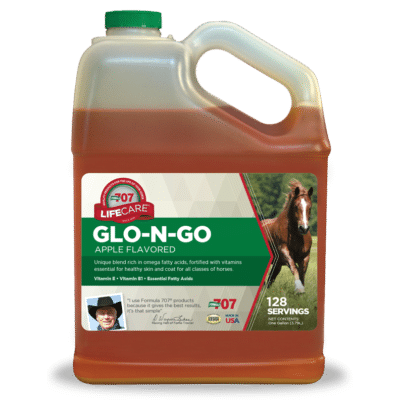 Establish healthy weight retention, enrich the luster in your horse’s coat, and support performance – all in a single supplement. Fortified with vitamins E and B1, rich in essential fatty acids and formulated entirely from vegetable oil (no animal fats). Lecithin helps aid in digestion. Contains triple the calories when compared to an equal volume of grain. Formulated by John Ewing Company in Colorado, USA, where we’ve been Helping Horses Succeed Since 1946.